It may elicit a chuckle when you hear that Chicago Bulls players Derrick Rose and Taj Gibson have a stalker problem, but its no laughing matter. According to Terez Owens, a set of best friends are the culprits. 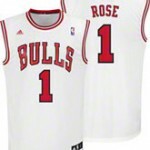 Tragil Wade and Reggie Rose proclaim to be their little brothers biggest fans. This video from TNT’s pre-game show offers strong evidence. 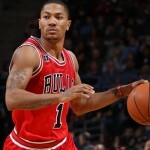 Derrick Martell Rose has been named Most Valuable Player for the 2010-2011 NBA season. Who’s surprised?